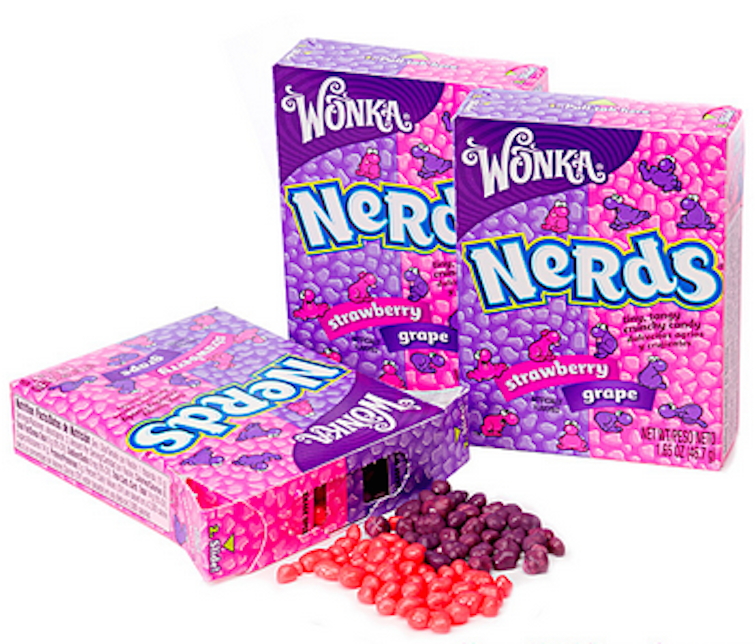 Why is Nerds Called Nerds? Ah, advertising. These days we’re inundated with both blatant and subliminal ads for products. There is increasingly more data to help companies reach us as well as more and more platforms by which to share their messages. But the marketing tactic has been around for ages. And while it seems like personalized targeting means companies have to be craftier today, some could argue that advertisers were just as clever in the past. Disagree? Let us present exhibit number one: The Willy Wonka Candy Company. The confectionery was founded by the Quaker Oats company in 1971. Of course there’s nothing unusual about that until you learn that it was only because they agreed to fund the production of the movie Willy Wonka and the Chocolate Factory. At the time, Quaker Oats was interested in pursuing chocolate, and director Mel Stuart was looking for his next big break. 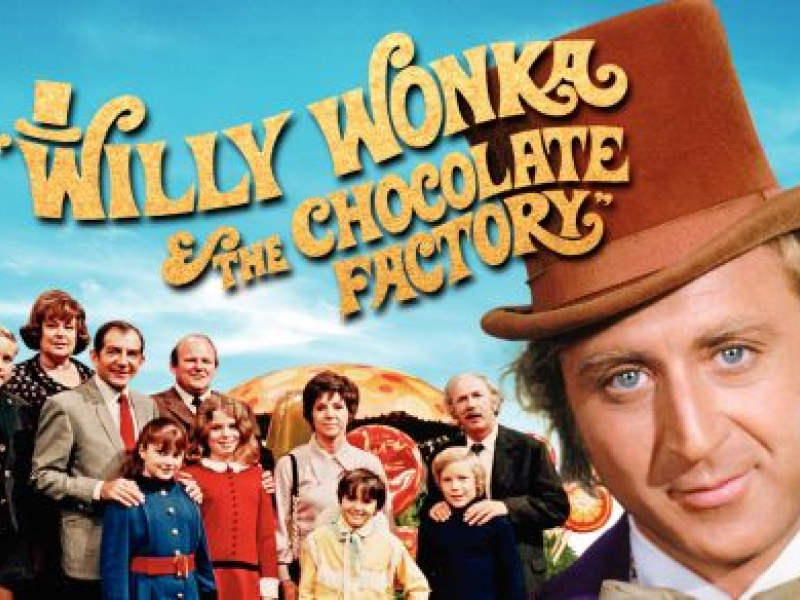 As Vice President of The Wolpert Organization, Stuart bought the rights to Roald Dahl’s 1964 classic, Charlie and the Chocolate Factory. If Stuart could get Quaker to agree, he would have his film, Quaker would have a candy bar, and they would have an opportunity for mutually beneficial advertising. The catch? The film adaptation had to be renamed Willy Wonka and the Chocolate Factory, since that was the character Quaker needed for their candy brand. And they absolutely are. On an episode of Unwrapped, a factory worker describes the confectionery process: “Basically we start off with a sugar crystal and we just keep coating it with more sugar.” What wouldn’t be tasty about sugar coated in more sugar? How they got their name, though, is a somewhat less savory process. Why is it called Nerds? According to Merriam Webster, the definition of a nerd is “an unstylish, unattractive, or socially inept person; especially one slavishly devoted to intellectual or academic pursuits.” We all know the type. And many argue that it comes from the reverse spelling of the word drunk, first as knurd and eventually as nerd, because knurds were essentially the opposite of drunks. Nerd was printed again in Newsweek in 1951 as the term we know today, and gained popularity in the 70s on the sitcom Happy Days. By the 80s, the term had come to describe an odd or peculiar character– just like Wonka, and just like the colorful mascots that represent all varieties of Nerds candies. After five years of sweet success, Nestle acquired the Willy Wonka Candy Factory in 1988. Today. Wonka is responsible for favorites like SweeTarts, Laffy Taffy, and Gobstoppers. And while its products have mostly remained the same, Nestle recently changed the name to the Nestle Candy Stop. Or maybe it’s just an advertising play for a Candy Shop movie in the works. Thanks for reading Why is Nerds called Nerds! If you have other insights behind their name, do share! Comment below. #whyisitcalledNerds.